Today, on November 25th, the Disney classic of the new Golden Age of Animation Aladdin turns 25. Who doesn’t love and remember Robin Williams as the Genie? 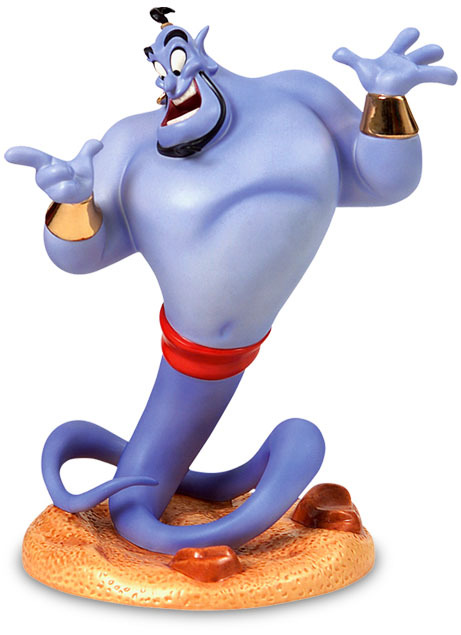 Walt Disney Classics Collection sculpture of Aladdin’s The Genie. This “Magic at Your Fingertips” Walt Disney Classics Collection sculpture by Ruben Procopio captures him perfectly. 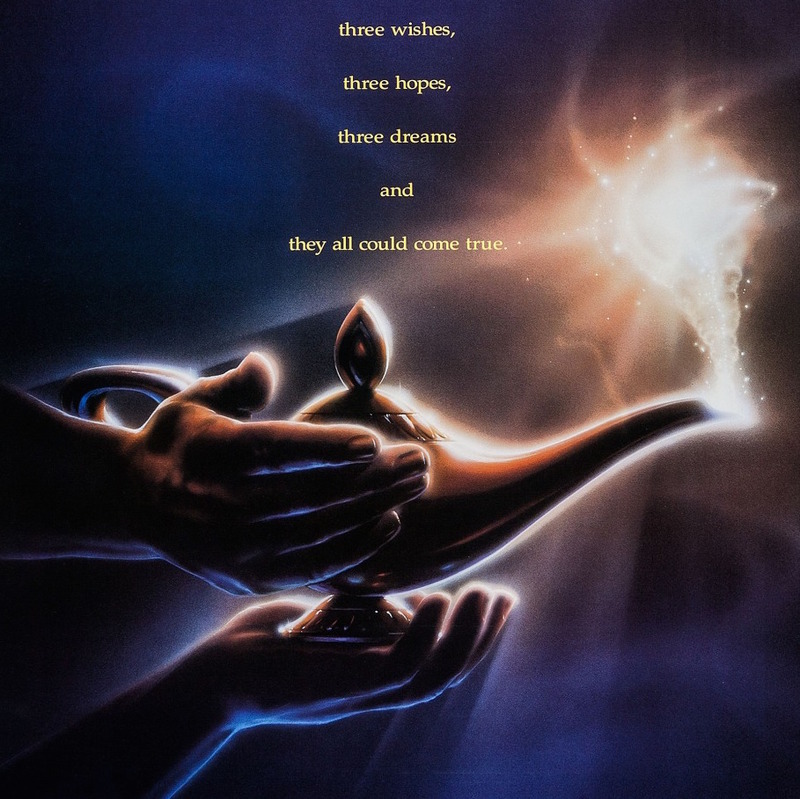 So many artists worked on the film that got and deserved credit…we can look back and point to lead animators like Eric Goldberg, who was in charge of developing the genie, and the co-directors Ron Clements and John Musker, who had Robin Williams in mind and approached him with fingers crossed that he would do it. 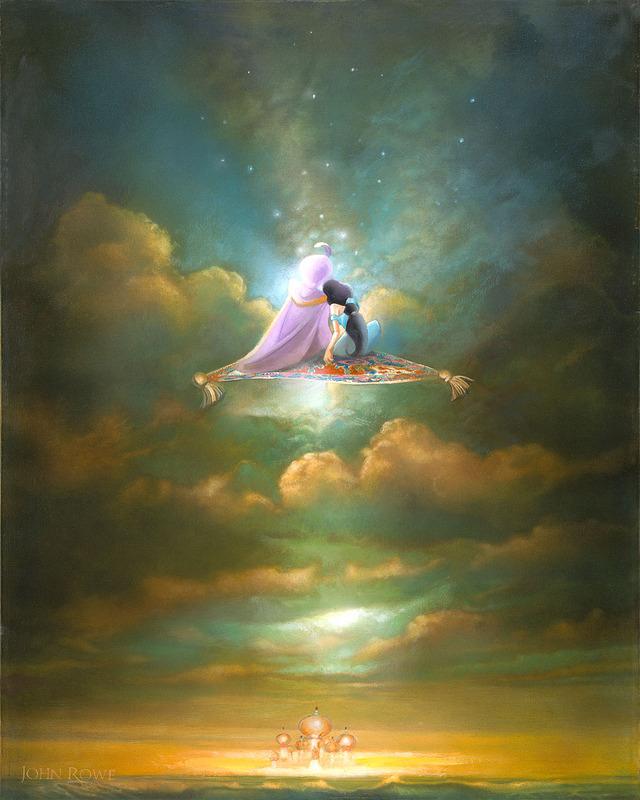 The characters of Aladdin and Jasmine have continued to resonate far beyond the release of the film. Aladdin had yet another animation superstar, Glen Keane as supervising animator, who also developed Ariel in The Little Mermaid and Beast from Beauty and the Beast. Jasmine’s singing voice was provided by Broadway performer Lea Salonga (who was hired based on her work in Miss Saigon) and had female character specialist Mark Henn as lead animator. His influences for her included his own sister and actress Jennifer Connelly. We remember going to the Sotheby’s auction and the enthusiasm for the work of these animators. Aladdin is one of the wonderful films in which we can really see these 2D animators do their best. Also, for the Aladdin poster, our friend and consummate movie poster artist John Alvin was tapped to do the entire adult campaign. We have some wonderful examples of his process in the gallery, and not only did John Alvin create the advance, but actually several images used around the world to promote the film. 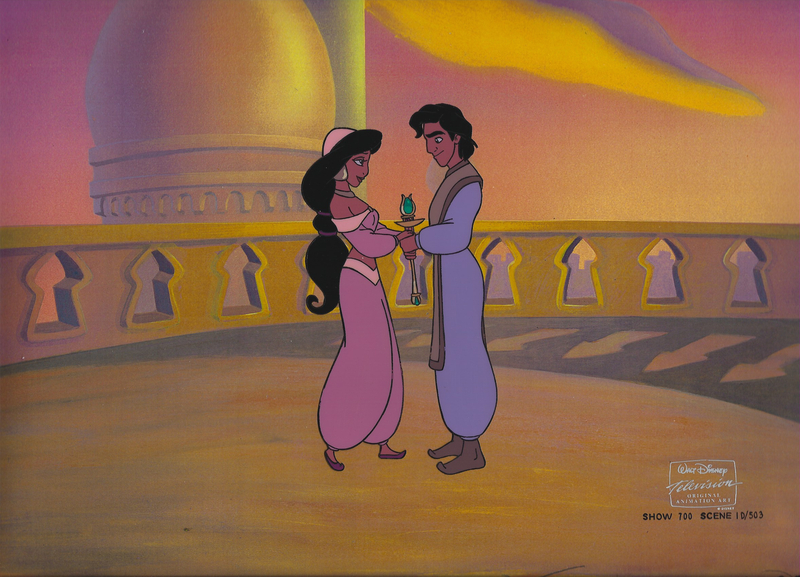 Click on the art for all Aladdin art available from ArtInsights, including John Alvin’s art! We have a large image close to one of John Alvin’s finishes. 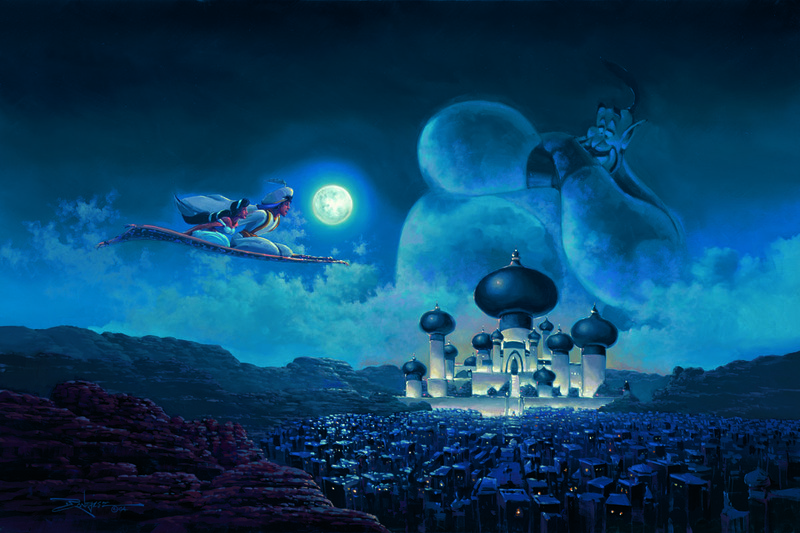 Check out all our Aladdin art at ArtInsights. 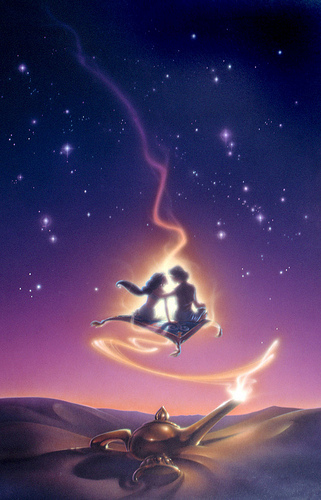 Meanwhile, we congratulate all those involved with this classic film and are so glad to know only the animators who build the film, but also some great artists who have done official interpretive art, like John Rowe’s Endless Diamond Sky and Rodel Gonzalez’s Flight Over Agrabah. 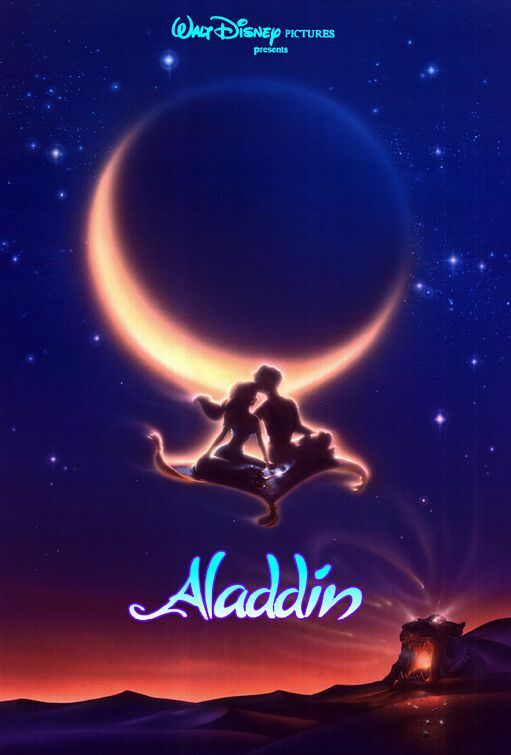 Go celebrate Robin Williams and traditional 2D animation today, on Aladdin’s 25th anniversary!